We all know many varieties of vathal. But not many have heard about Drustick Vathal / Murungaikai Vathal. 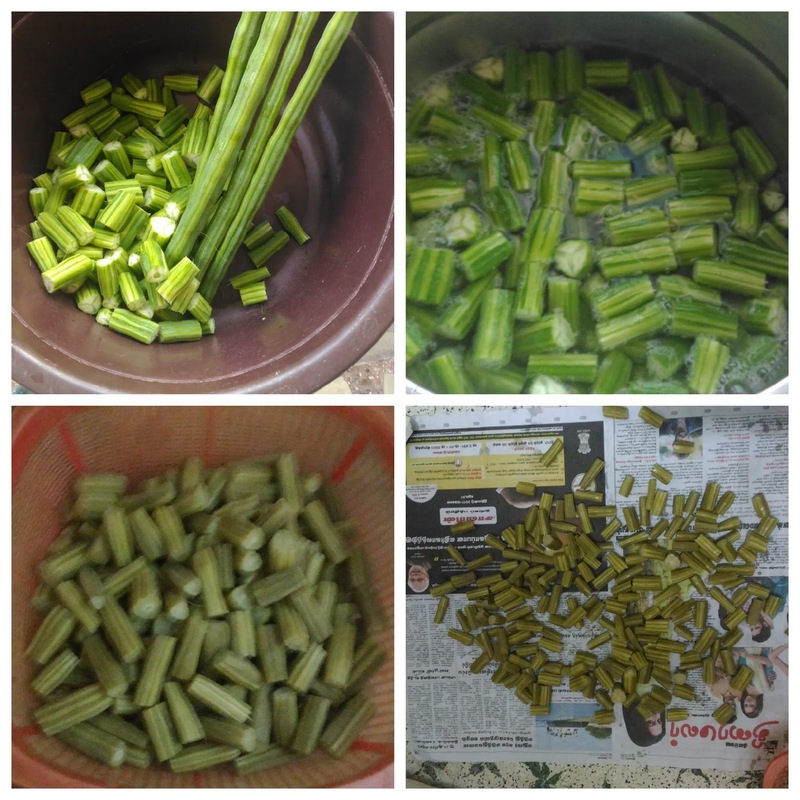 This recipe is mainly to prepare drumstick so that it can be used when it is not available in daily matter, or if its price has risen into high, or if you are in a country where it is not available at all. The drumstick vathal you will get after preparation will look little brown color. But its taste will be just as fresh as normal drumsticks. 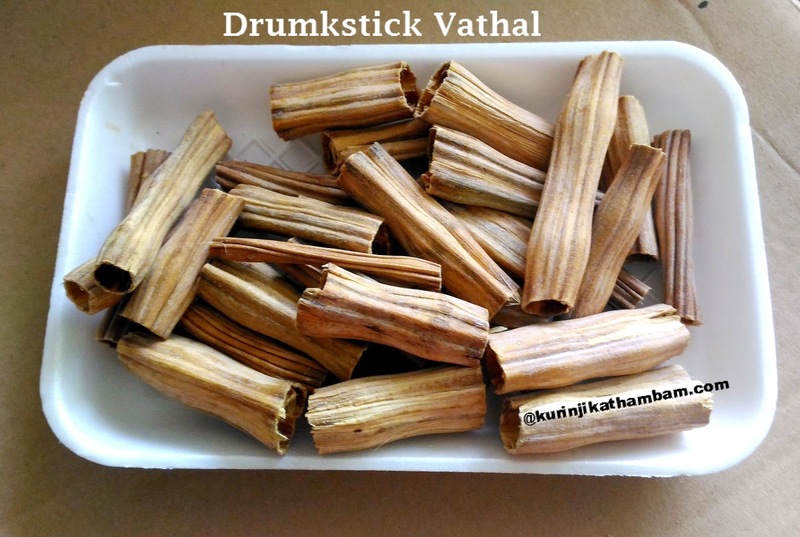 You can make sambar and vathal kuzhambu with this preserved drumstick vathal. Click HERE to view more Vathal and Vadam Recipes. 1. Wash and remove the sharp ends of the drumsticks. 2. Then cut them into 2 inch pieces. 3. Add drumstick pieces in a wide bowl and add water till the drumstick pieces immersed completely. 4. Add required salt (1 tbsp is enough for 1 kg). Mix them well and bring to boil. 5. When the water starts to boil, switch off the flame. 6. Allow it to cool down completely. 7. Drain the water completely and spread the half cooked drumstick pieces in a plastic sheet or clean clothes. Keep it under sunlight for 4-5 days. It depends on the size of the drumsticks. 8. If dried completely then store them in a air tight container for later use. 1. Use the drained water for making soups.